Debbie Caffrey is a self-published author of fourteen books and dozens of patterns. 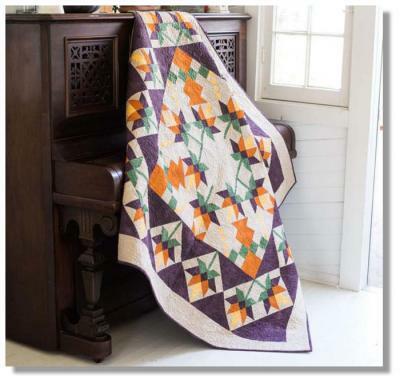 In addition, she has designed and published over 250 patterns in an ever-changing line of mystery quilts. Debbie has taught many energy-filled workshops nationwide for guilds and shops, and some international venues. These include International Quilt Festival (Houston, Rosemont, and Long Beach), Minnesota Quilters Conference, Festival of Classes in Bend, Oregon, The Road to California and many, many more. 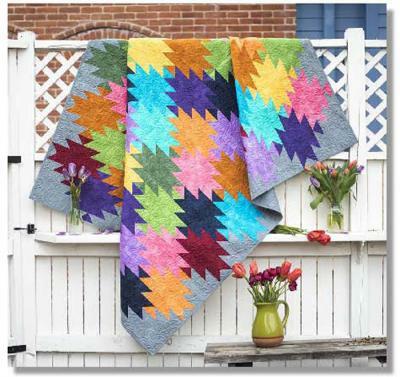 Debbie has contributed many articles to Traditional Quiltworks magazine and has made two guest appearance on HGTV’s television program, Simply Quilts, and two episodes of QNNTV.com’s Quilter’s Coffee . Debbie and her husband Dan lived in Anchorage, Alaska from 1979 to August 2000. They raised three children, Monica, Erin, and Mark. After living in Anchorage, Alaska from 1979 to 2000, Debbie returned to New Mexico and lives there now. Outside of quilting, Debbie enjoys her family (Grandkids are the greatest! ), cooking, her herb garden, and going on long walks and drives, experiencing new places. Here are two of Debbie’s new patterns that can be found on the QuiltWoman.com website. Click Here to take a look at all of our available Debbie Caffrey patterns. New Mysteries for Classes and Shops! Debbie has designed and published mystery patterns since 1994. They have appeared in many forms such as magazine series, patterns for use by teachers, groups, and guilds for classes and retreats. All patterns require basic rotary cutting and machine piecing skills. Techniques are diverse, interesting, simple, and precise. While some techniques are more advanced than others, no pattern contains curved seams, Y-seams, appliqué, or similar challenges. The sizes of quilts and number of fabrics used in the quilts are just as diverse as the techniques. For obvious reasons there is no picture brochure for mysteries. Because new ones are always being designed there is an ever-changing number of mystery patterns available. The Class Mysteries and Shop Mysteries are great for use by teachers, groups, and guilds. For information on hosting a mystery, please see How to Host a Mystery with Debbie Caffrey by clicking Here. To view the mysteries please register online Here, make sure to include your guild or company name where it asks for company name. We will then set up a wholesale account and email you with login information.